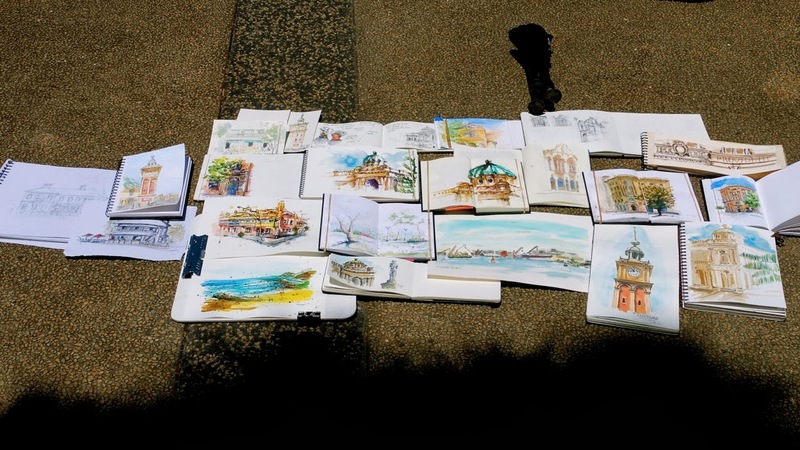 Yesterday, on a lovely sunny day around 26 sketchers met in Newcastle for our first regional Urban Sketching event. 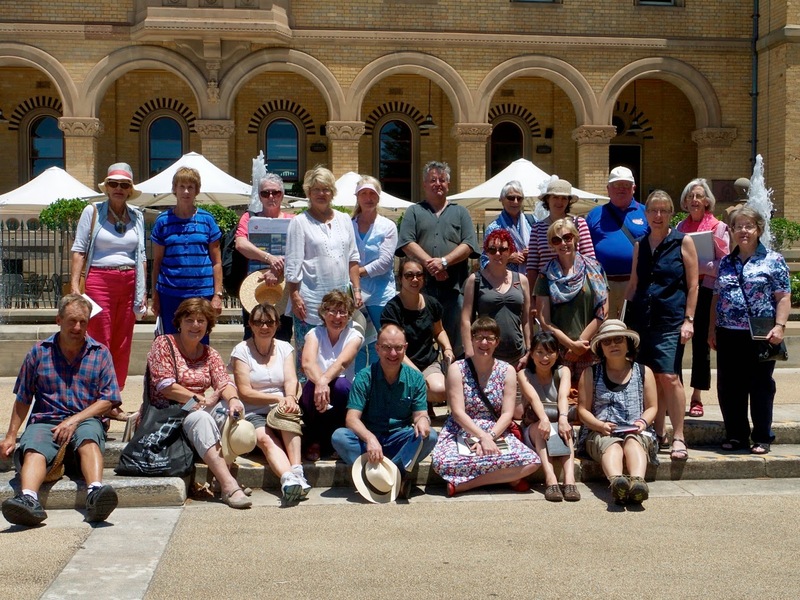 Quite a few of us caught the early train from Sydney for the 2 hour 45 min trip. We all met in a carriage and it was a great opportunity to catch up before arriving. 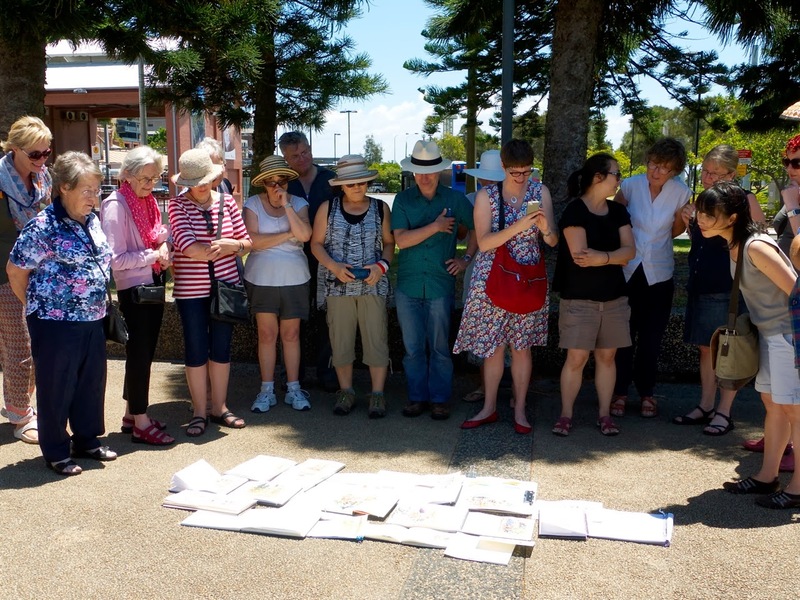 Phil in Newcastle had done an amazing job in planning and organizing the day, with a map and photographs of potential buildings to sketch! After an initial introduction by Phil and Liz, and a look at the map we headed off in different directions to meet up again in two hours time. A few of us walked a few blocks to the former Post Office building, now boarded up. I sat across the road with Ethna, Lorna and Diane and then with Deb and Lisa. The building may be boarded up and ruined inside (I later saw the consultants report online - scary) but exterior looks spectacular and I was fascinate by the shape and colour of the copper dome. 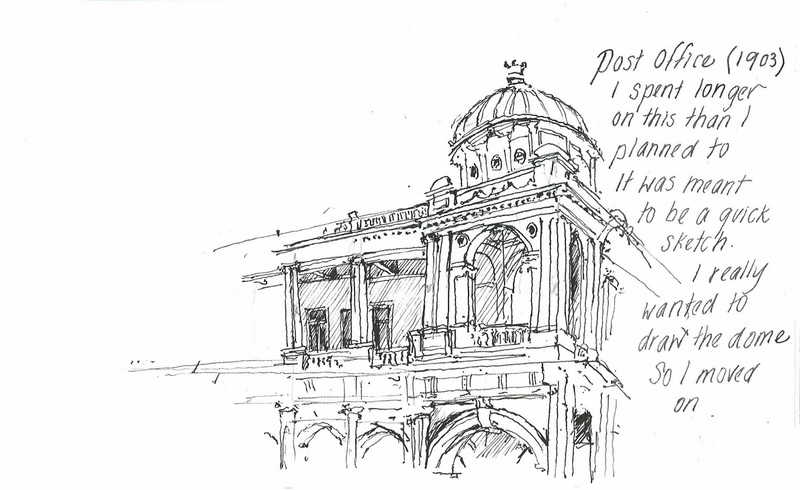 My plan was to draw a small quick sketch in ink and then spend the rest of the time drawing some of the architectural features in more detail. But unfortunately I made the drawing too big on the page and got caught up in the detail. At a certain stage I said "enough" and moved onto the drawing the Dome , which is what attracted me in the first place! Lots of green coloured copper and rust. Beautiful ! The FaberCastell Earth Green watercolour pencil is the perfect colour. I was enjoying this. It is very useful colour for many drawings. It is a very good for eucalyptus trees too. After lunch we continued, deciding to head in a different direction. Phil suggested along the water to the Wharf. 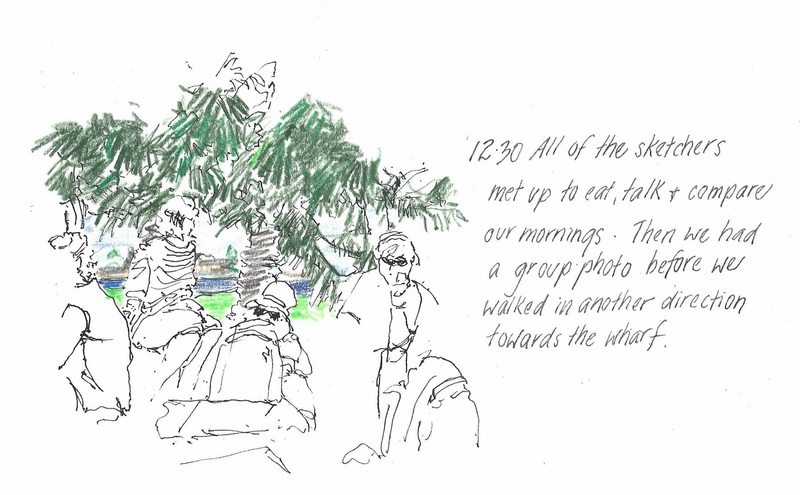 Once we got to Queens Wharf, we found new topics to sketch. I was taken by the skyline of the industrial area. Cranes, bulk storage for grains and a coal loader. Next time I would like to look closer at this area. Newcastle has a long history. It was one of the original convict settlements and then based on the coal industry. Some of this has moved away and Newcastle is re-inventing itself, although the coal terminals still play a vital role in the region. I wanted to include enough of the sign to read the words, but also get a chance to draw the rusty cement wall. 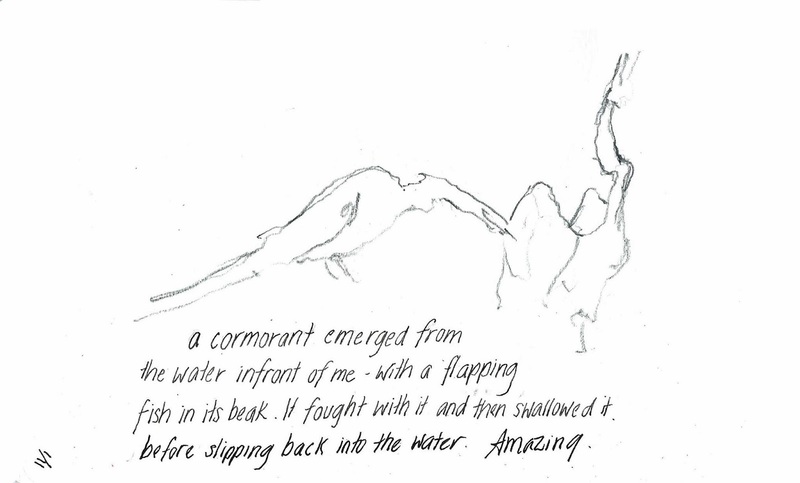 I was later able to add context by drawing the barnacles and the water. I stayed far too long in the sunshine drawing this. Even though I had hat, sunglasses and sunburn cream, I still felt the effects of the day that evening. 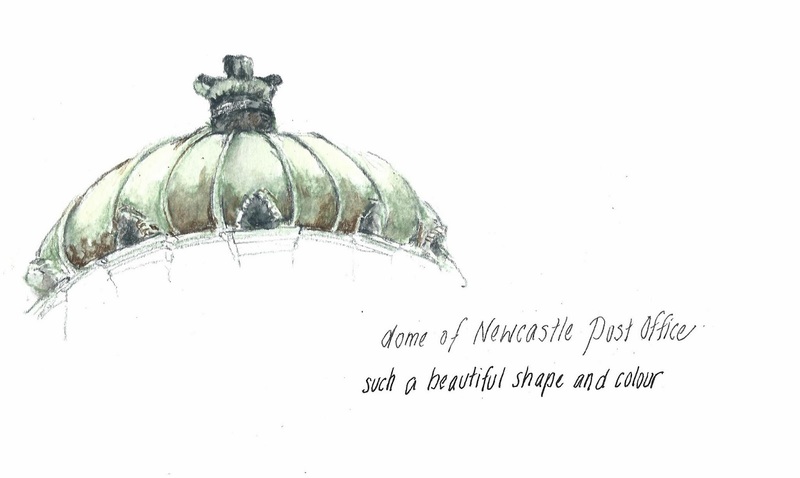 It is not the most beautiful sight in Newcastle and not one that the locals would prefer to be shown to the world. 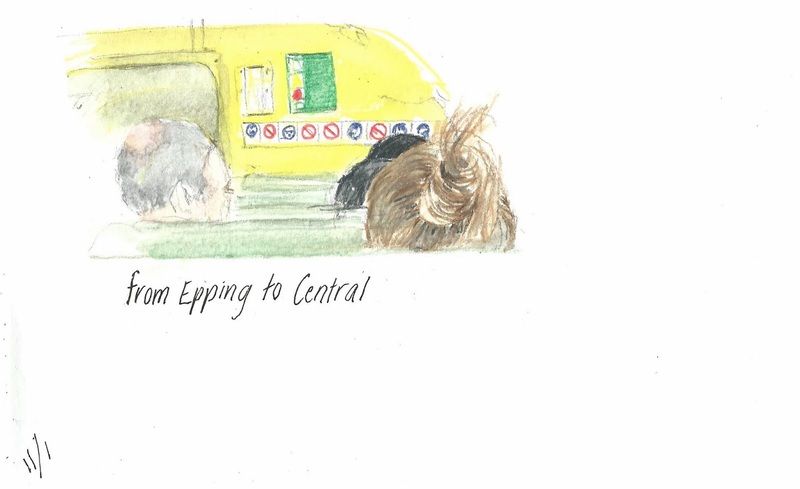 But I had such fun drawing this, and it is part of the urban landscape. An extra treat was a cormorant bird emerging from the water and gulping down a fish in front of me ! and then at 4.35 we caught the train for the journey home. 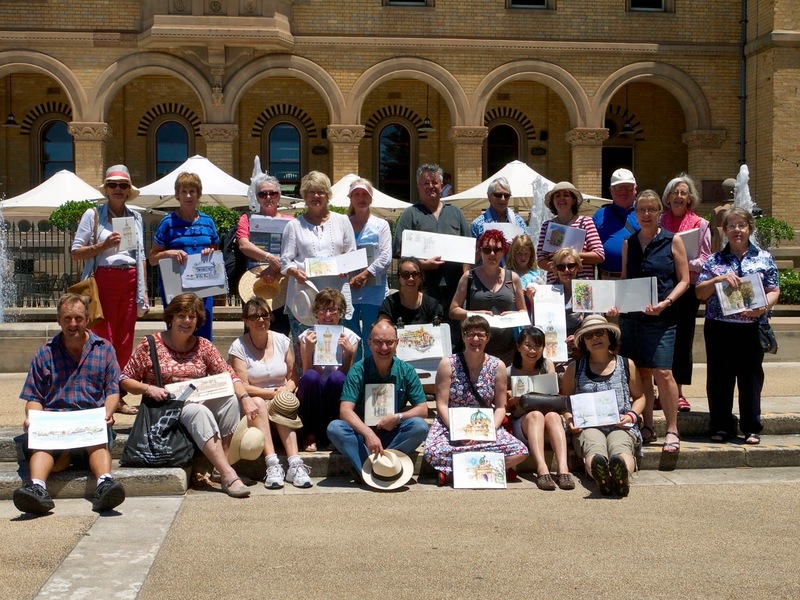 It was a great day out and so good to meet with Newcastle sketchers that we had only met online. Everyone would like to return to sketch here again.